If you are looking to come work with the horses on your personal development and growth, this is your day! 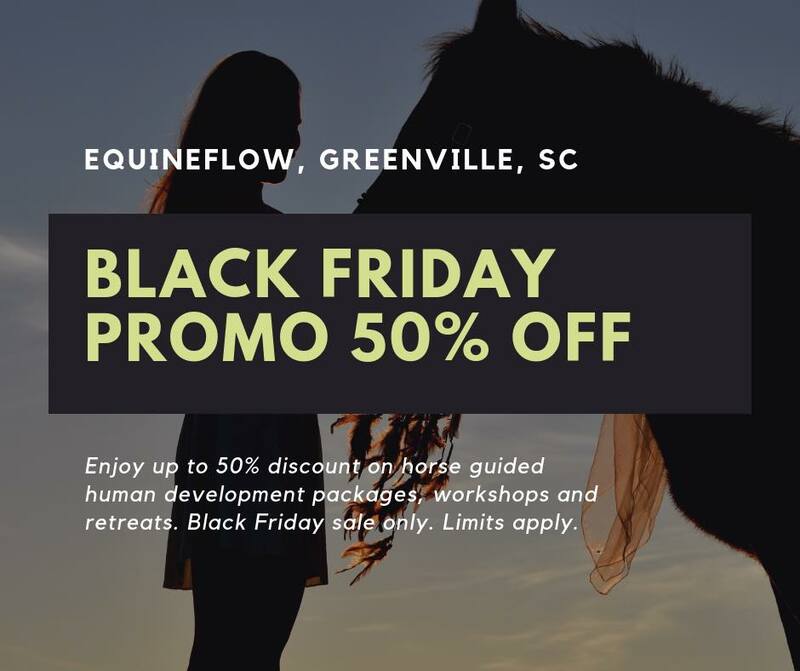 For Black Friday only, EquineFlow offers up to 50% on most packages and workshops in 2019. Gift certificates available! Live a long, vibrant and happy life without regrets. EquineFlow LLC is licensed and insured, located in Piedmont, SC, about 20 minute from GSP and down town Greenville, SC. Participants must wear closed toe shoes and sign a liability waiver. Horse Guided Human Development takes place on the ground, no riding. This Black Friday, Treat Yourself to the Experience of a Lifetime. Give yourself the astonishing power of horse guided human development.